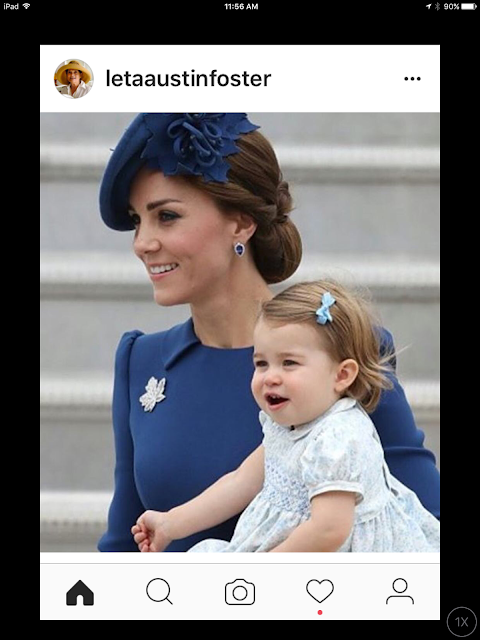 Due to inclement weather in Florida (yes, this is an understatement as we were visited by a blustery chap named Matthew this past week) we have been Instagramming like crazy. 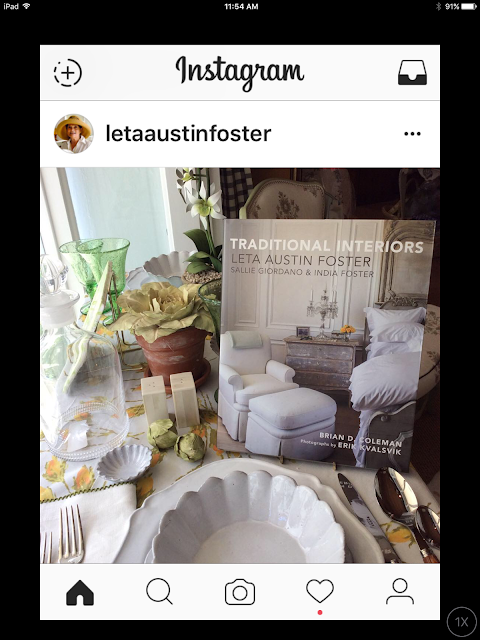 Pop on over to letaaustinfoster and see other interesting and informative posts. 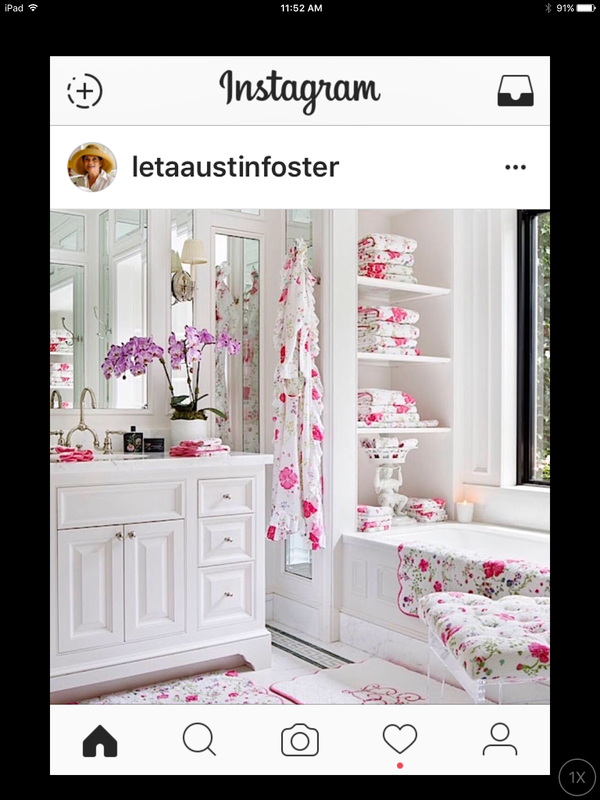 A beautiful bath belonging to one of our beautiful clients. 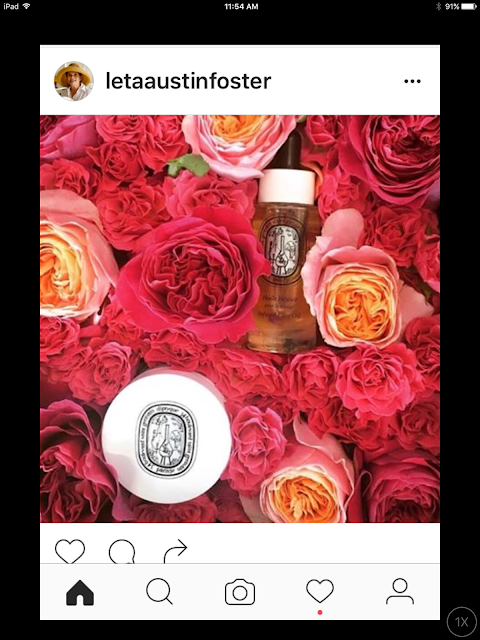 The printed items are all "Fragrance" by D. Porthault. The quilted bath mat is a hand-embroidered monogrammed one from our friend, Veronique at Lin de Chateau.......gorgeous ! Order them all at our Boutique. Leta's book, "Traditional Interiors" sits atop a table covered with a beautifully printed cloth by D. Porthault. The dishes are our Astier de Villatte black clay china from France. These are super thin, white glazed and very sturdy in spite of their delicate appearance. Just to remind you that we vamped up our stock of Diptyque to include all their creams, oils and fragranced body treatments. Stop on in and have a sniff ! One of our favorite stationers, Bernard Maisner, has a fabulous bespoke paper line. 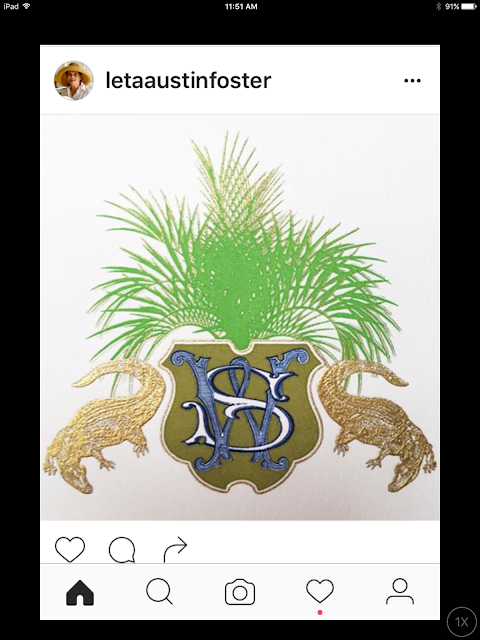 Wouldn't you want fabulous monogrammed letter papers with this Florida-esque crest to send to all your cold-climate friends ? If you would like your little one to dress like a princess, look no further. This smocked frock and many, many more are available at your favorite store (LAF, of course). Let us send you pictures of all the wonderful holiday dresses available.